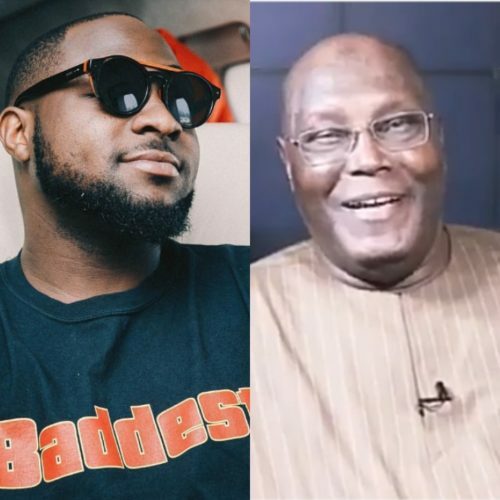 Pop superstar Davido has just been endorsed by former Vice President Atiku Abubakar. In a new video shared by the DMW boss, the PDP presidential candidate in the February 16 polls declared Davido the king of Nigerian music. Mr Abubakar said while he was a youth Fela Kuti was his favorite musician and the reigning king of Nigerian music but as of now David Adeleke is the new king. Davido has been in the news following his successful sell out of the O2 Arena which has a 20,000 sitter capacity. Watch the clip as shared by OBO when he was called king of Nigerian music.